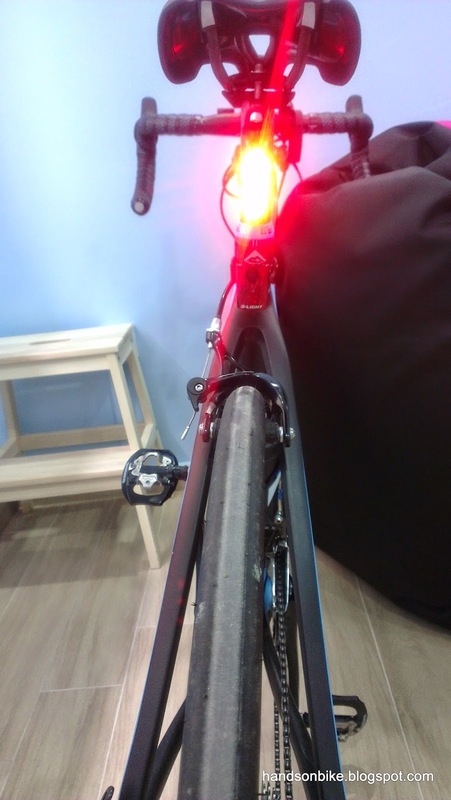 In one of my previous posts about the Merida Scultura 5000, I noted that the rear light sticks out too much from the seatpost, and it does not look too nice. 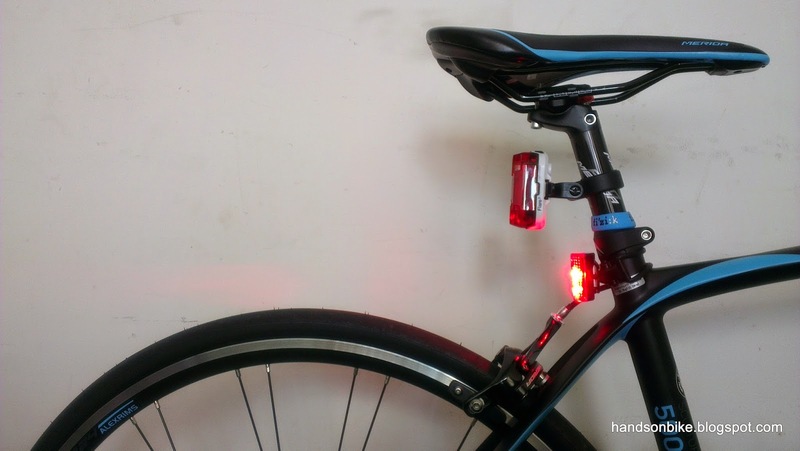 This is a minor issue, but I wanted to look for a nicer rear light that can blend in nicely with the seatpost without sticking out. 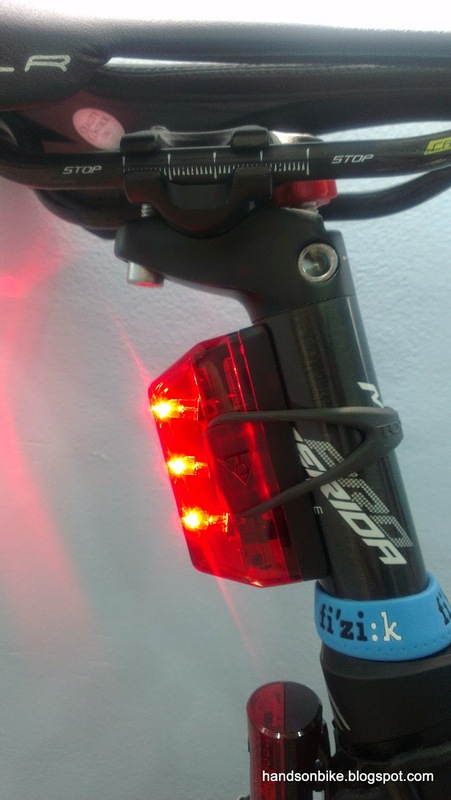 Bontrager Flare 3 rear light mounted on the seatpost. 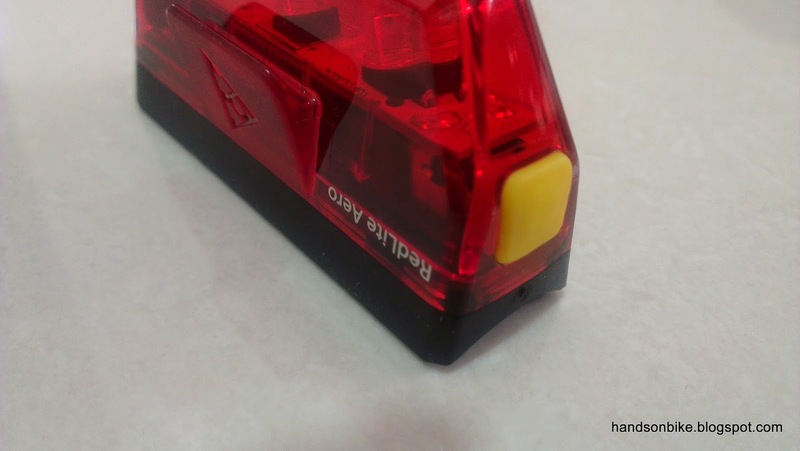 The Moon Comet Rear Light does not fit the bill as the mounting bracket causes the light to stick out quite a bit. The Cateye Rapid X does blend in nicely with the seatpost, but it is rather expensive at over $50. 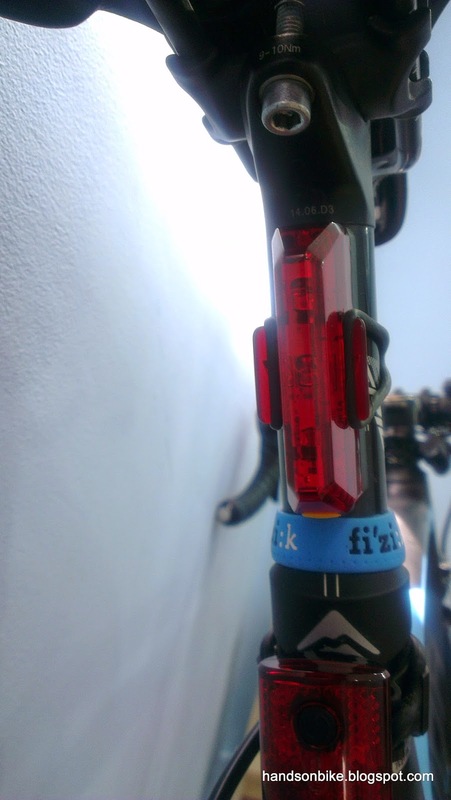 After looking around, I found a rear light by Topeak that can blend in nicely with the seatpost. 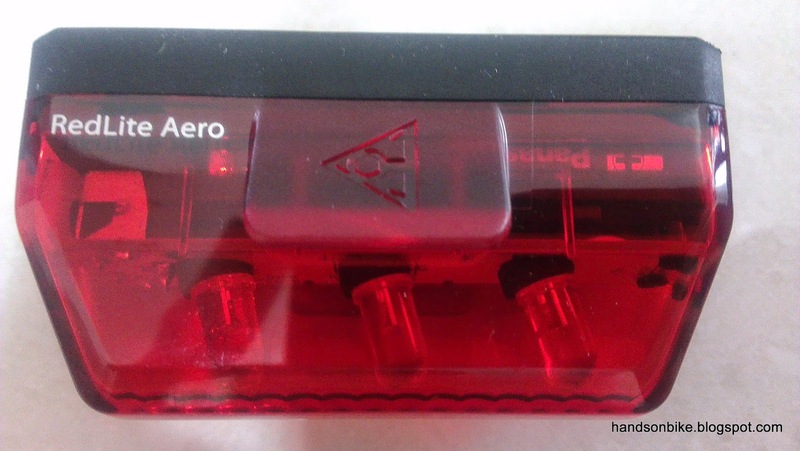 The "Aero" in the product name does not just refer to how aerodynamic the rear light is. 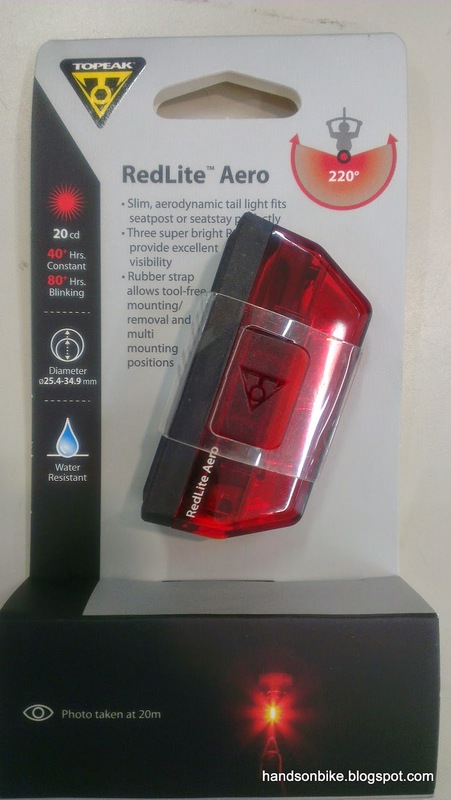 It also means that this rear light can be mounted on aero seatposts that are not cylindrical in shape. 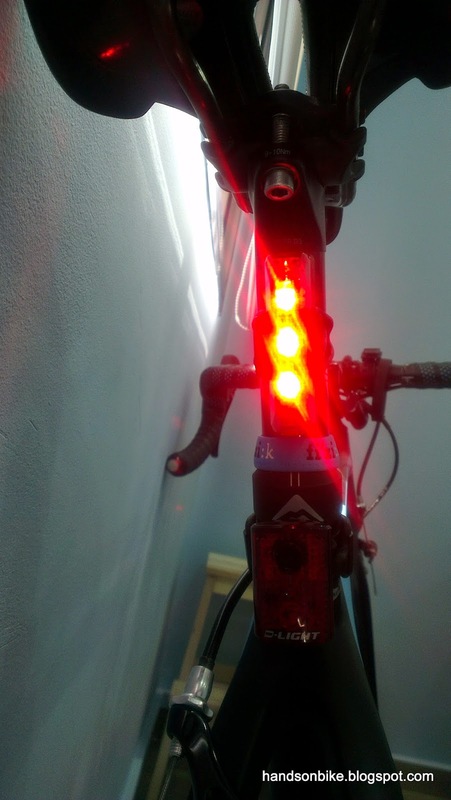 The aerodynamics of a rear light does not really make a difference as it is so far back from the front of the bike. However, what attracted me to it is that when mounted, it blends in nicely with the seatpost. 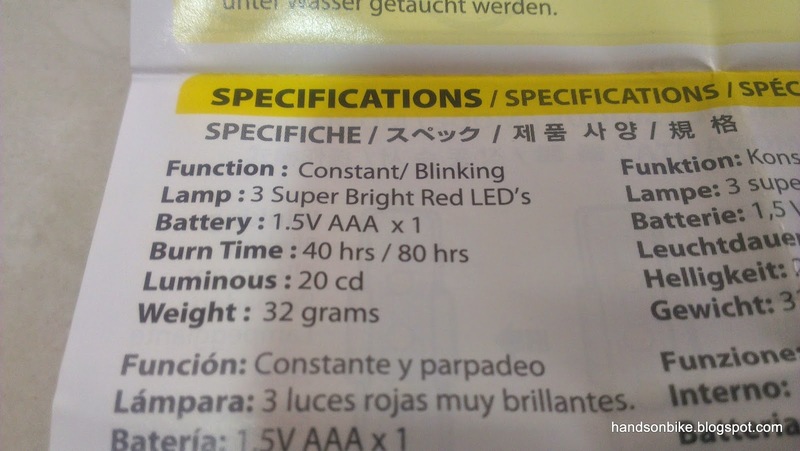 2 lighting modes, Constant and Blinking. 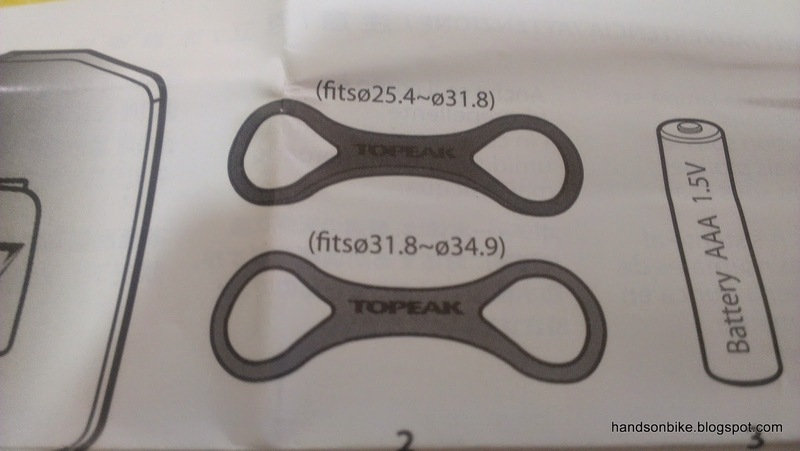 Comes with 2 rubber straps to suit different sized seatposts. 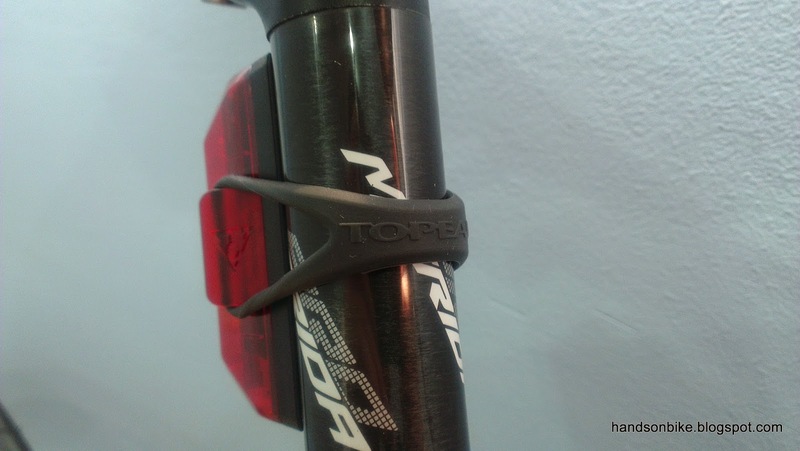 The light grey rubber strap is more stretchy and fits larger seatposts. 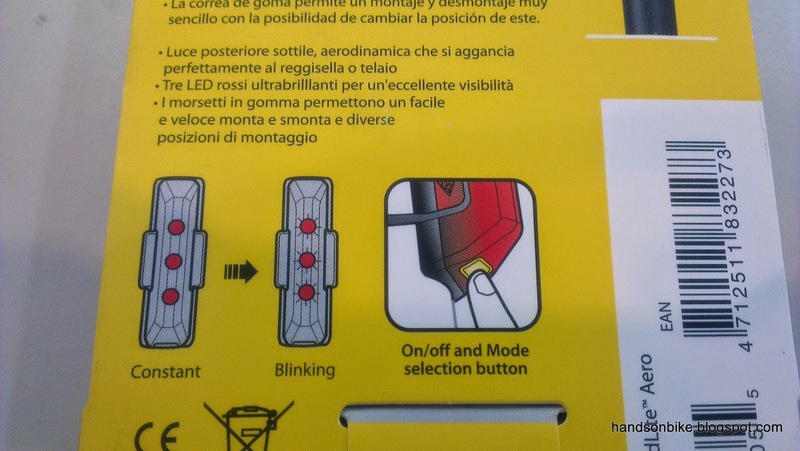 The yellow button at the bottom of the light is the On/Off button and also changes the lighting mode between constant and blinking. Note that the LEDs are tilted at an angle. 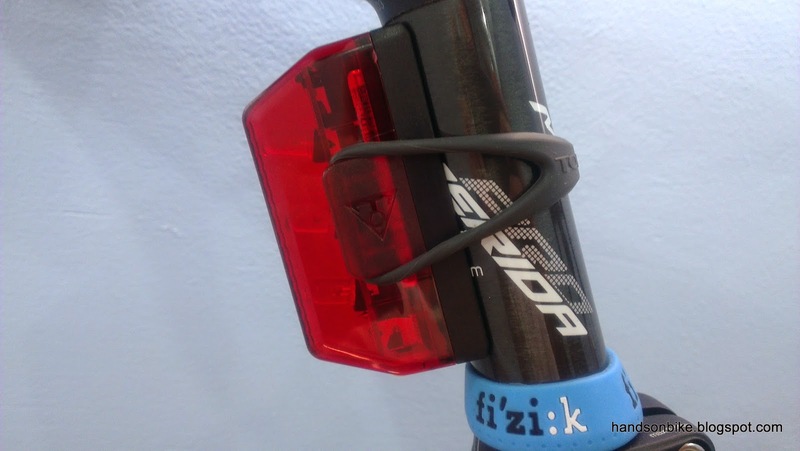 This ensures that the light beam is directed more or less horizontally when mounted on the tilted seatpost. 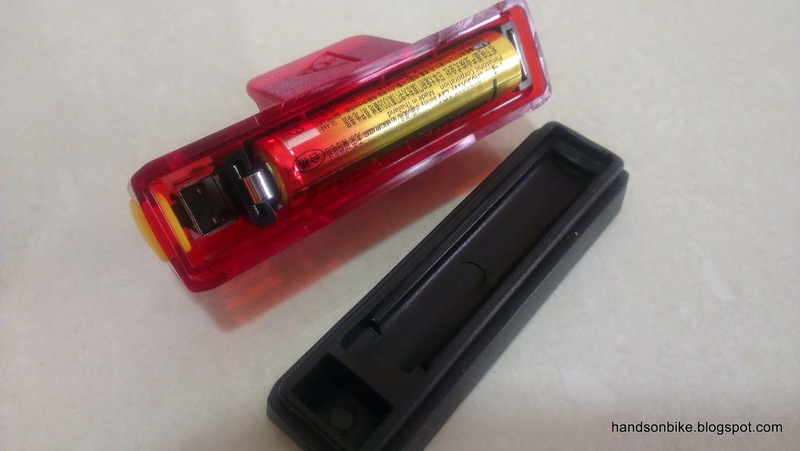 Uses 1 x AAA battery. This is covered by a rubber back cover. 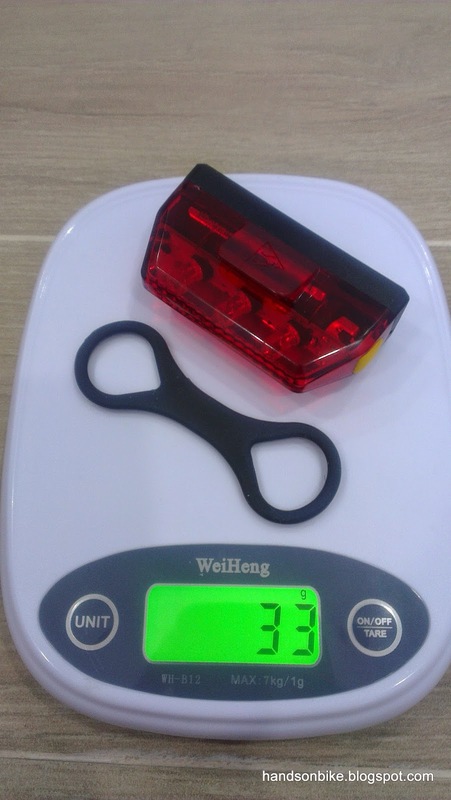 Specifications of this rear light. A nice long runtime of 80 hours in flashing mode. Seen as mounted on the seatpost. 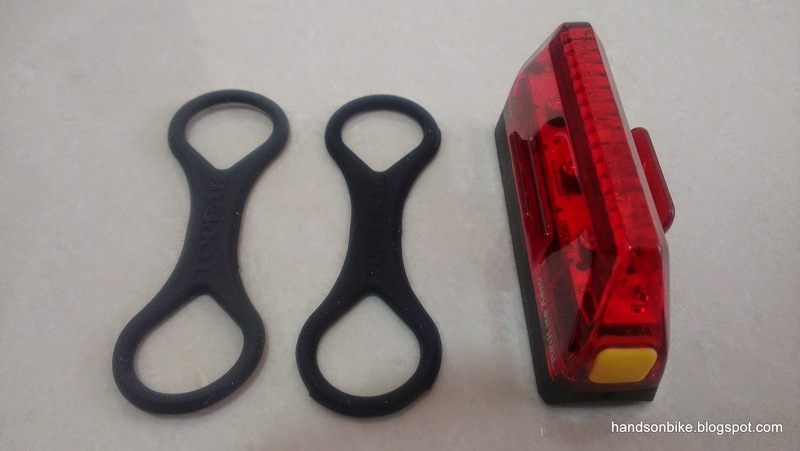 Although the rubber back cover does not fit tightly to the red casing, the rubber strap will pull and seal the back cover tightly when mounted on the seatpost. 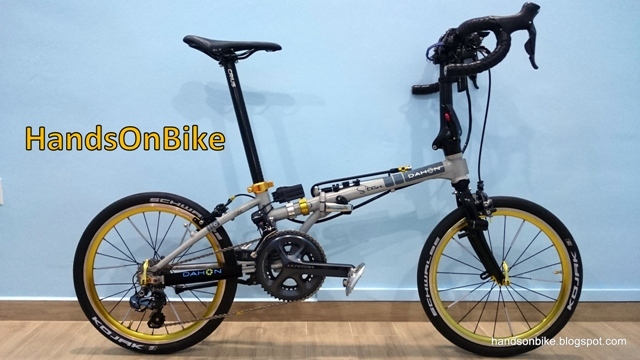 Blends in quite seamlessly with the seatpost, without any clamps or mounts protruding from the seatpost. Very aerodynamic look when viewed from the rear of the bike. 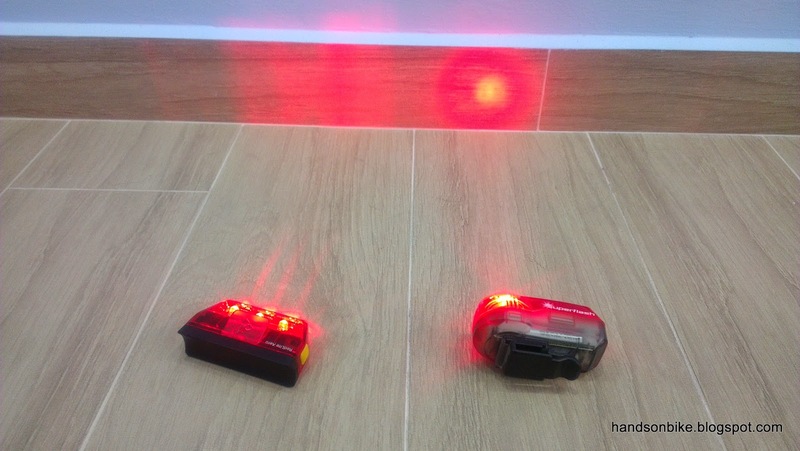 Comparing it to a Smart 0.5watt rear light. It does not have such a bright focused beam, but does have a good vertical coverage. Horizontal coverage is not so good though. 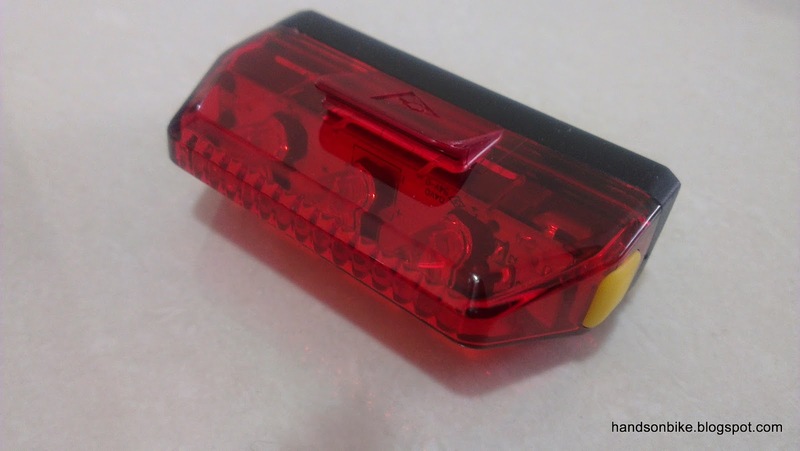 As you can see, there are many good features for this rear light, and very few negative points. 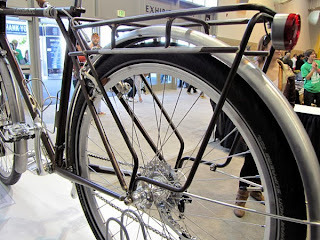 Most importantly, it blends in nicely with the seatpost which helps to keep the nice aerodynamic look of the road bike.